With a total of over 55 fine art galleries patronizing the fine arts, the Manilart Festival 2010 was a huge success, gathering thousands of esteemed collectors, passionate artists, accredited professors and tasteful curators all under one roof of communication; the language of art. 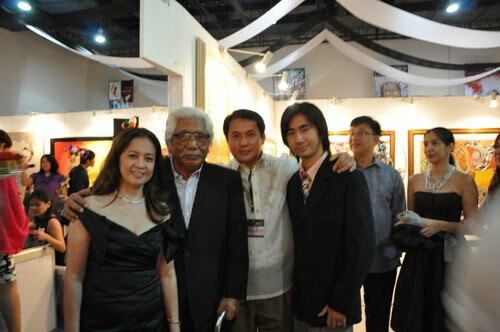 Centering mainly on the field of visual arts, the array of colorful narratives boasted over 700 unique works of art from every corner of the Philippines. The night was topped off by a tempting roving dinner set of cocktails, gourmet pastas, and trays of exotic dishes. Guests marveled at the creative side of the Filipino often admired for his experimental attitude of civil discovery and specific taste for mindful, socially related art. The Artasia Gallery housed artists such as Baldemor, Dizon, and two generations of Chua, as the floor lit up with expectant gazes and witty conversations. 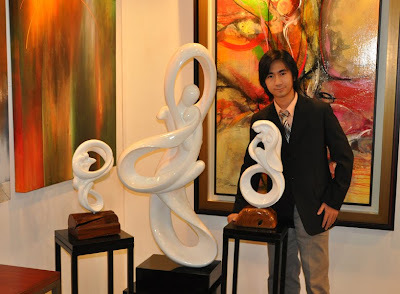 Being one of the few pioneers of modern sculpture exhibition in the Philippine art circles, the gallery was able to sell several of its signature artist’s pieces including original cast marble, sheet brass and alabaster creations. 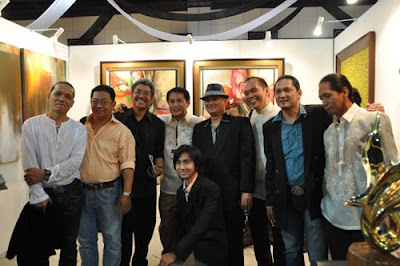 Bringing back the success of last year’s Manilart 2009, this year’s showcase was wildly more vibrant, exploring more diverse media and delving into subject matter previously unheard of. Certainly a timeless memory for ages to come, the event will hold a great influence over the change of tide in the new and upcoming motifs stirring amidst the society of artists in the country. Ahahaha Thanks Kwaa!!! :D wish you coulda come!